Prominent members of the group have recently expressed interest in traveling to the distant continent to prove 'once and for all' that the planet is not spherical, Forbes reports. In the meantime, the Flat Earth International Conference (FEIC), which is not associated with the Flat Earth Society, will embark on a cruise sometime in 2020 for its annual event. In a statement to dailymail.com, founder of the FEIC, Robbie Davidson clarified that the 2020 excursion is 'just a cruise,' and the group isn't yet shooting to find the 'ice shore' at the end of the world. The plan, however, has drawn ridicule from experts who point out that navigation by sea relies entirely on the spherical model of Earth. An upcoming conference for the group will be held in Dallas, Texas in November and marks the third annual event hosted by the FEIC. Since the group's announcement about plans to host 2020's conference aboard a cruise ship, the idea has been singled out by some for its irony, given that cruise ships navigate their surroundings using equipment based on a spherical model of Earth. To bolster their theory, some flat-Earthers have also endorsed other conspiracies, including claims that the U.S. faked its moon landing and that NASA has worked to obscure the truth about outer space and our planet's place in it. As the flat Earth movement gains traction, it has also caught the attention of documentarians looking to both profile and in some cases debunk the ideas set forth by groups like the Flat Earth Society. Recent additions to the sphere include Netflix's 'Behind the Curve' and an upcoming 'documentary' by controversial YouTube star, Logan Paul, titled 'Flat Earth: to the Edge and Back,' which appears to show Paul succumbing to flat Earth conspiracies. Paul's film will be released on March 20. 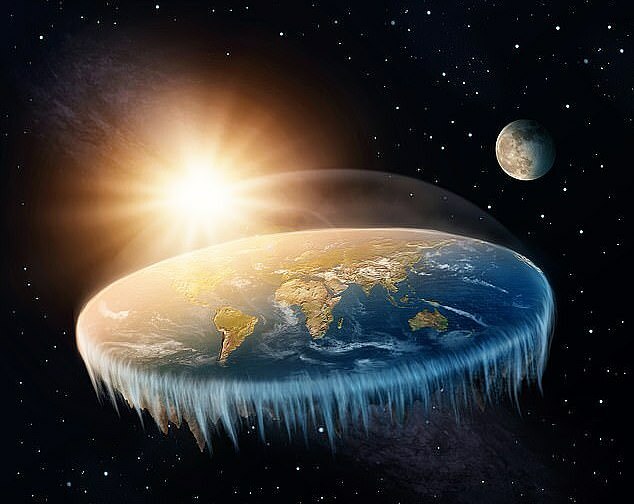 The prominence of flat Earth conspiracies has been amplified by the increasing popularity of internet conspiracy theorists who grow their audiences on popular video hosting platforms like YouTube. In a recent study from researchers at Texas Tech University found that of the 30 respondents interviewed at a Flat Earth event, all but one identified YouTube as a major factor in how they came to believe the theories. Some parties have called on the streaming service to tweak its algorithm in order to stem the spread of misinformation and prioritize reliable science, a call YouTube has begun to heed in recent months. 'We recently announced that we'll begin reducing recommendations of borderline content or videos that could misinform users in harmful ways—such as videos promoting a phony miracle cure for a serious illness, claiming the earth is flat, or making blatantly false claims about historic events like 9/11,' a YouTube representative told Mail Online in February. 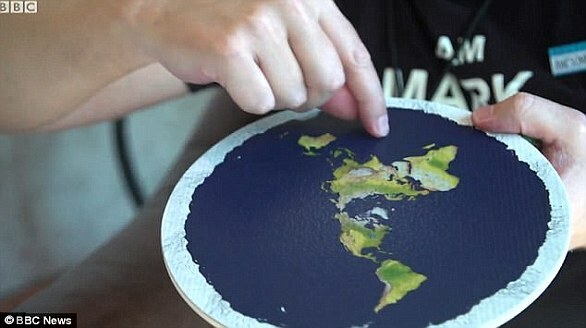 Those who believe the Flat Earth Theory claim our planet is shaped like a flat disc instead of a sphere. Because Earth's surface looks and feels flat when we walk around it, the conspiracy theorists denounce all evidence to the contrary. The leading theory suggests Earth is a disc with the Arctic Circle in the centre and Antarctica, a 150-foot-tall (45-metre) wall of ice, around the rim. Theorists claim that satellite images and evidence pointing to a spherical Earth are part of a 'round Earth conspiracy' orchestrated by NASA and other government agencies. Proponents of the bizarre theory also claim the Earth is stationary in space rather than orbiting the sun. Some believe the Earth is covered by a glass dome which sits over the flat disc. The international scientific community has consistently denounced the Flat Earth theory. Decades of space imagery and peer-reviewed astronomical research back their claims. 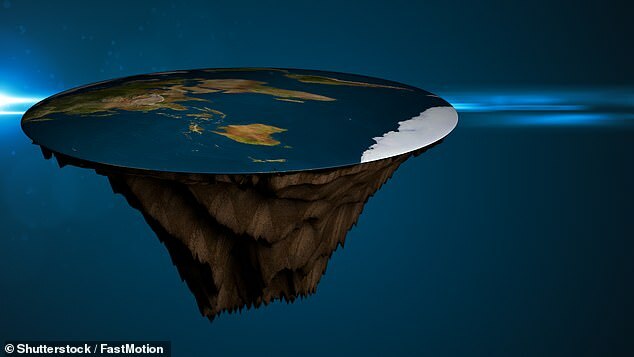 NASA has proved that the Earth is round using satellites, GPS and images from space, but 'Flat Earthers' believe the space agency is lying.